When I come to customers I most of the time see some third party management tools installed on client workstations (for example VNC). These tools are used by administrators to manage workstations remotely. They are able to see user’s desktop and solve a problem. 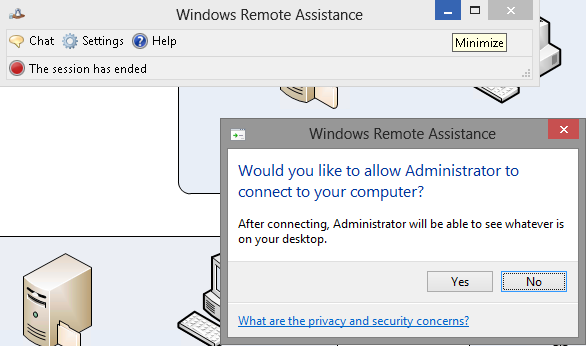 Administrators thinks the only tool to manage user’s desktop is to connect to workstation with RDP. 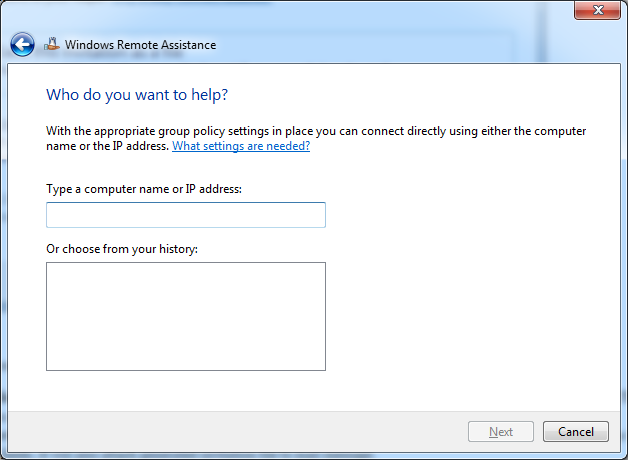 Problem with RDP is that user and admin cannot see same screen and just one ot them can work on actual desktop. I will not describe how to use Remote Assistance in home environment. I will focus on corporate use. Most of the time you have some administrators for workstations and, of course, workstation users. Workstation users always have a problems they cannot handle and we, as a admins, need to see a problem which user sees and need to solve a problem. 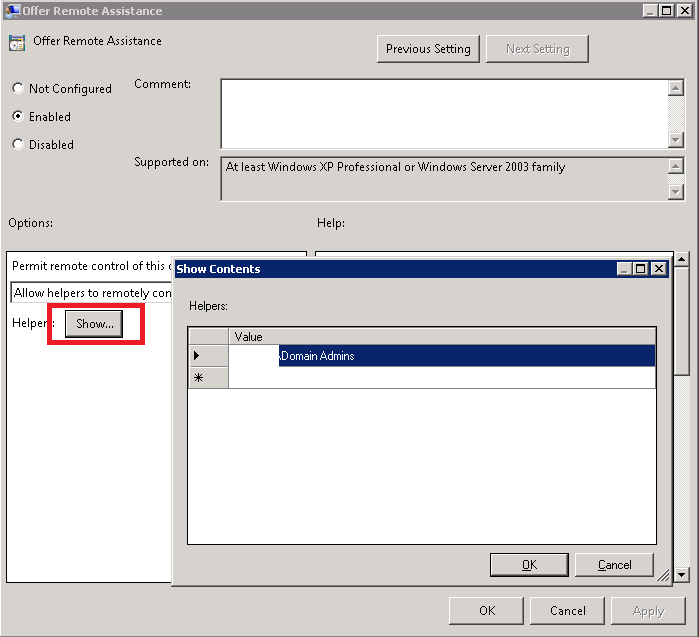 Let’s work with environment where Active Directory domain is implemented. We will implement two methods of providing help to users. 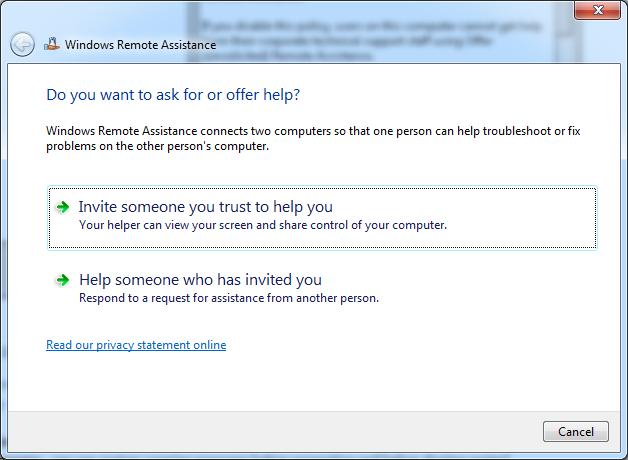 When you apply GPO you can use Remote Assistance. Save this invitation as file – This will save your invitation information into file and you can distribute this file to your administrator. There can be some file share or you can send it as attachement to your administrator. Use e-mail to send an invitation – This option is enabled when you have mail client installed (Outlook). It will open up New message in mail client and fill required fields. It will also attach generated invitation file to mail message. 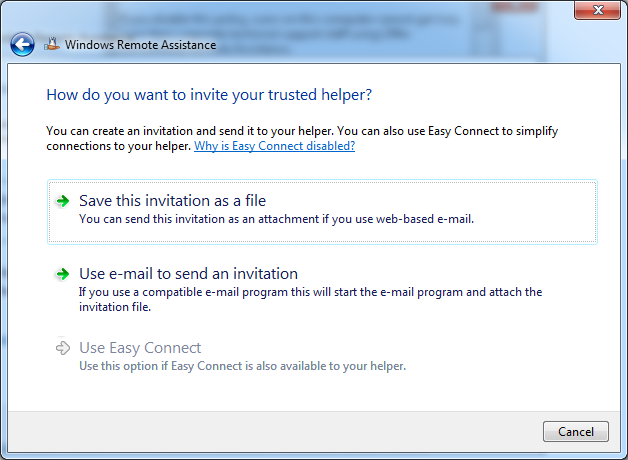 Use Easy Connect – This option helps users to select from available helpers. This options is nice, but it depends on IPv6 tunneling interface Teredo. You need to have IPv6 enabled on computers, Teredo interface has to be in Enterprise mode and service Peer Name Resolution Protocol. You can check the status of Teredo interface by running command netsh int teredo show state. If you see Type set to “Client” then Easy Connect won’t work. You should change it to type “Enterprise Client”. You can do it in two ways. One is by running command netsh int teredo set state type=enterpriseclient and other is by GPO (Computer Configuration — Policies — Administrative Templates — Network — TCPIP Settings — IPv6 Transition Technologies — Teredo State set toEnterprise Client). You can check if Peer Name Resolution Protocol works correctly by running command netsh p2p pnrp cloud show list. You should see status Active (rather than Virtual and Alone) in line named Global_. Your router should support UPnP technology if you are going to support machines behind NAT. From now this is very intuitive to use. This feature is nice to use and you don’t have to install any 3rd party solutions. You cannot manade Windows 7 computers from Windows XP computers. You can though oposite way (thanks to Roman Kučerák for remark). From now I will try to convince administrators to use Remote Assistance in situations they will need it. It’s a wonderful article. In addition to above various remote support tools such as logmein, gosupportnow, GoToMyPC, on premise RHUB or Bomgar appliances etc. can be used for remotely accessing computers. Tie requesty sa vypnut nedaju na W7 a vyssie. Na WXP to este slo vygenrovanim specialneho suboru. To, ze UAC vyzaduje vyssie poverenie je tiez koli bezpecnosti a tiez sa to neda deaktivovat. Aspon zatial som o tom nepocul.